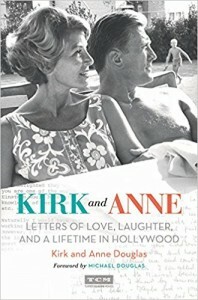 KIRK and ANNE : Letters of Love, Laughter, and a Lifetime in Hollywood, published in 2017, takes a look back on a lifetime filled with love and drama both on and off the screen. Sharing priceless correspondence with each other as well as the celebrities and world leaders they called friends; a candid portrayal of the pleasures and pitfalls of a Hollywood life. 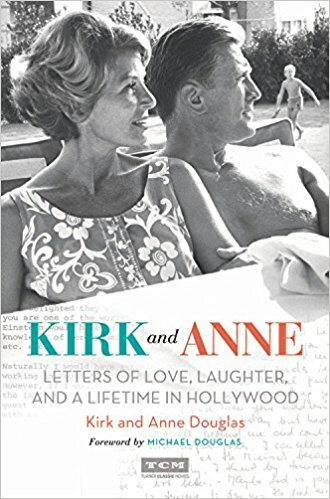 Kirk’s and Anne’s vivid descriptions of their 60+ years of experiences reveal remarkable insight and anecdotes about legendary figures they knew so well. From the very beginning they were opposites who could not help but attract. Kirk wears his heart on his sleeve; Anne protects hers with a caution borne of bearing life’s burdens with dignity and strength. Kirk has distinguished himself as an actor, producer, philanthropist and author. Anne built her career in the film industry as a publicist. She met Kirk during the making of Act of Love (1953) and they married a year later.